Lionbridge Technologies, Inc.is a leading provider of globalization and testing services. Lionbridge has a global network of more than 200,000 resources focused on translation and localization services across 100+ countries. We enable international organizations to increase market share, speed adoption of products and services, and engage with customers in locally relevant ways, transforming how our customers communicate globally. Today, we’re proud to be the world’s #1 globalization company, delivering industry-leading business processes by focusing on critical details so our customers can focus on the big picture. In this job you will be reviewing online search results in order to improve their content and quality. You will be required to provide feedback and analysis on content found in search engine results and provide ratings on their relevance to the search terms used. Another aspect of this role will involve reviewing the language used in the search results by examining grammar, tone and cultural relevance. Through this work you will be making a valuable contribution by expressing your opinion on the quality and content of what is currently out there on the web. You will play a part in improving the quality of one of the largest search engines in the world using both your PC and required Smartphone device. You must be fluent in written and verbal English and Swahili. You must have familiarity with current and historical business, media, sport, news, social media and cultural affairs in Uganda. 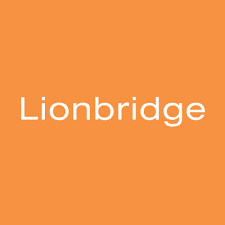 All suitably qualified and interested candidates who wish to join Lionbridge as a part-time Independent Contractor for the Personalized / Social Media Internet Assessor Swahili (UG) should apply online using a desktop PC/Laptop and a member of our recruitment team will review your application.